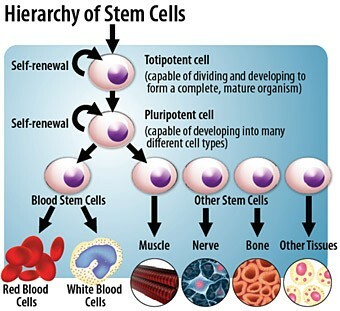 Stem cells are biological cells found in all multicellular organisms, and through mitosis can divide into specialized cell types and can self-renew to produce more stem cells. This means it has the potential to develop into other cells, organs and tissues in the body making it ideal for scientific research. The research can be conducted in two type of cells: adult and embryonic cells. These cells can be easily divided and be saved and used later. Stem cell research is relevant in today's society as it saves lived through the cure of diseases and injuries that destroy death by the replica of cells implanted. Through new technology which allows more depth research into the understanding of genetics, how they work and develop, mutations and cancer. Scientists can also test and develop drugs through the research. In the near future revolutionary advances are predicted to cure Alzheimer's, Parkinson's, diabetes, spinal cord injuries, heart disease, strokes, arthritis, cancer and more! Scientists create and look at mutations in the Laboratory on purpose to make break through discoveries and see what will be successful and failure to a certain tissue, organ or cell in the body. Scientists change the DNA sequence of the cell by the change of combination of a single nitrogenous base or multiple bases. Scientists can study the random change of an individualized body cell and discover more about genetics. Stem Cell research is an extremely controversial subject with the Catholic Church. Even though this research saves many lives, according to the Catholic Church it involves in the destruction of human embryos and it is considered an attack on innocent life. This is because according to the Catholic Church, life begins from conception, so "killing" embryonic stem cells for research is considered to be murder. 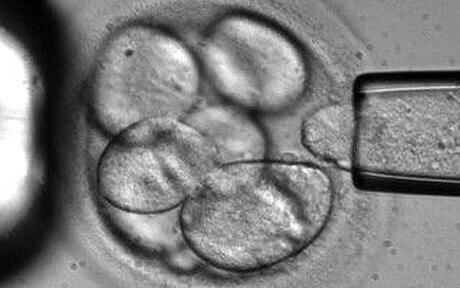 There is the other ethical issue of cloning to produce embryos. The Church believes these stem-cells are too alive therefore its destruction is immortal. And the Australian Government banned therapeutic cloning in the lab for stem cell research in 2006.